Once upon a time, Uncle John set his ghouls on a task to create three new For Kids Only! books: Strange & Scary, Wild & Woolly, and Under the Slimy Sea. But then a giant green creature oozed out of the muck and gobbled them all up! And what did that horrible thing spit out? This book--Creature Feature! It’s bubbling over with more than 400 pages of blood-curdling facts, gut-wrenching activities, cringe-inducing jokes, and head-spinning true stories--all made even more icky by all the freaky photographs and illustrations. Whether it walks, limps, gallops, flies, crawls, swims, or just sits there and makes fart noises--chances are you’ll encounter it in Creature Feature. So have a spooky good time checking out . 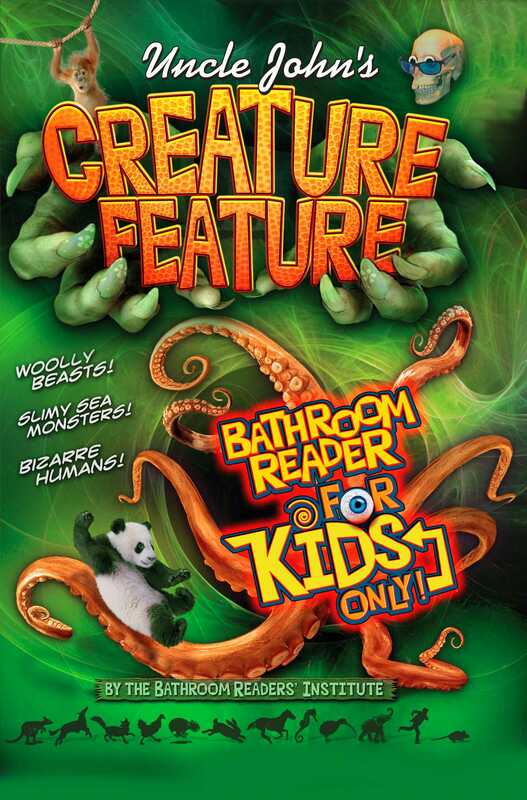 . .
Book Cover Image (jpg): Uncle John's Creature Feature Bathroom Reader For Kids Only!